Chicago has received LEED for Cities Platinum Certification, the highest level of certification available from the U.S. Green Building Council (USGBC). 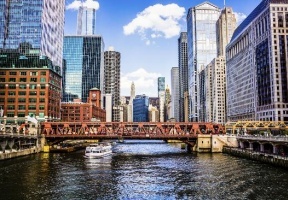 Chicago is one of the first cities in the world to be certified using LEED, the world’s most widely used green building rating system that focuses on human and environmental health. The LEED for Cities program was launched in 2016 and enables cities to benchmark and communicate performance from ongoing sustainability initiatives. In August 2018, Chicago was ranked as the nation’s greenest city by the Green Building Adoption Index for the second year in a row, with 70 percent of its space green certified. The City’s Energy Benchmarking Ordinance, which requires large buildings across Chicago to measure and report energy use, is associated with ongoing improvements in energy performance, as well as collective savings of more than $39 million over 3 years. Next year, the city will implement the Chicago Energy Rating System, the first of its kind in the U.S., which will which assign a zero to four-star energy rating to all large properties that are subject to the benchmarking reporting requirements. 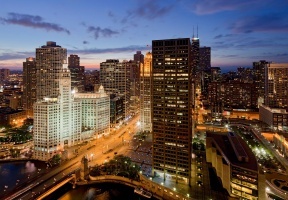 The Chicago Energy Rating System leverages the success of Retrofit Chicago, the city’s voluntary energy efficiency challenge program, which includes over 80 participating properties spanning over 55 million square feet.